"In questioning why this was, I was led down a long path of inquisition... It brought me directly to meditation, visualisation, and many other forms of self-healing and self-awareness. And somewhere along this far-out lineage I was introduced to the tarot. Though completely intrigued by the concepts of the cards, I had trouble finding a deck I could relate to. 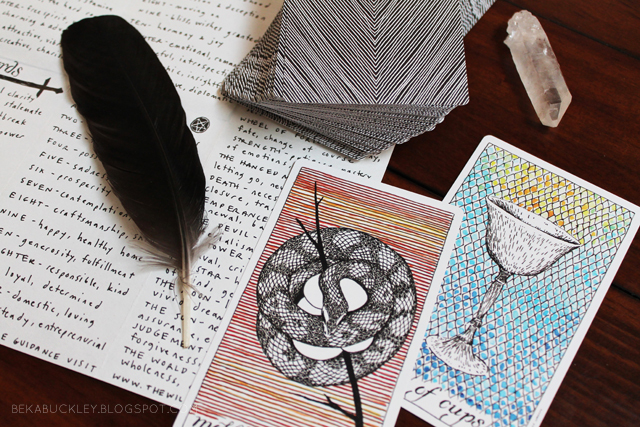 I wanted imagery that spoke of a world of wild nature and mystery... a place where the darks were truly dark and the lights are bright and expansive... a Tarot deck to call my own." Kim's determination to realise her need began with many months of focused work, hand-drawing each of the 78 cards that would make up the deck. 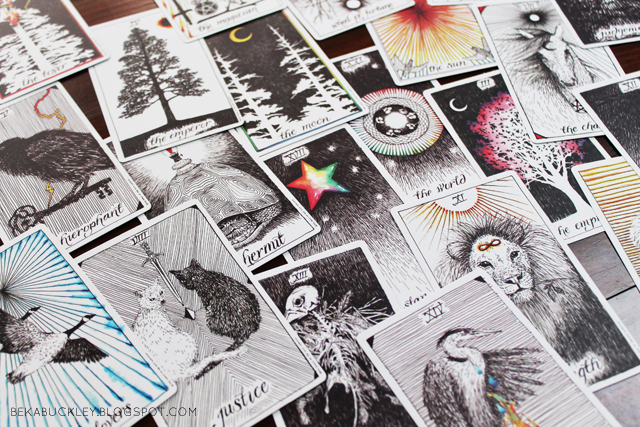 Then, in order to raise money so as to get the decks printed, she sold a print of each via her site. These sold out overnight, creating a serious anticipation for the arrival of the decks. It is one of those fabulous indiepreneur stories that I love and can't help but support. Though it is labelled as 'tarot', I feel with its menagerie of animal-only characters and symbols that it has a more elemental and oracular nature in the working. It is one of the reasons why I was drawn to it as I delve more closely into working with these guides. 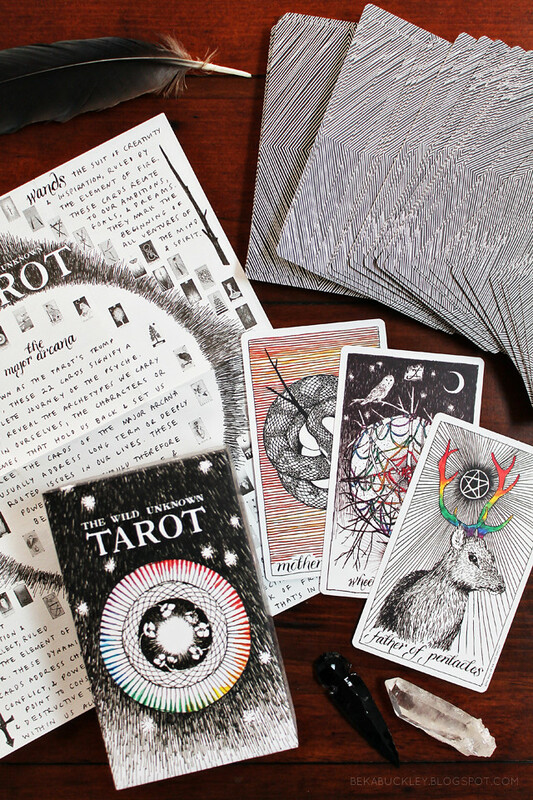 Presented in a sturdy box with a black satin ribbon to facilitate easy pullout of the cards, The Wild Unknown Tarot is accompanied by a simple, double-sided news-sheet of hand-illustrated notes that introduce the basics of the card’s meanings. Although, as mentioned, there is indeed a separate guidebook, for me this quick overview is enough pre-determined information to go on as I am actually looking forward to having the opportunity to allow intuition to guide my journey. Which is where the juice of working with these cards truly lies in the end.